EXTREMELY SIMPLE TO OPERATE - The clock has been designed with absolute simplicity in mind and you will have no problem whatsover operating it. Easy for children, seniors and the elderly. NIGHT LIGHT - Scared of the dark? Like to read in bed? No problem. The Travelwey Bedside Alarm Clock comes with a bigger than average night light which can be activated by a simple press of the top button. 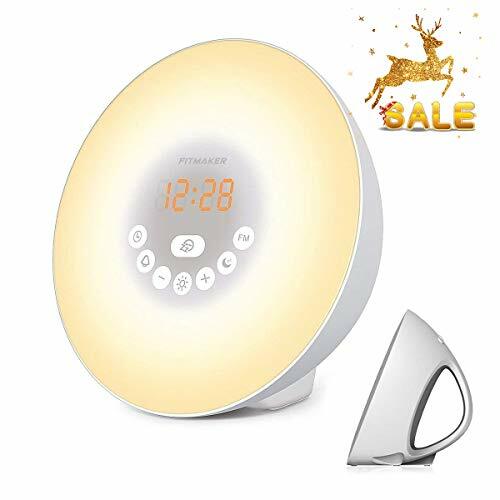 LOUD ALARM AND SNOOZE - The bedside alarm clock comes with an alarm which can be set at Low or High in volume and will continue for 5 minutes ensuring you definitely wake up. There is also a 9 minute snooze that can be continually pressed until the alarm itself is switched off. Perfect for heavy sleepers. JUMBO ILLUMINATED LED DIGITS WITH DIMMABLE SLIDER - The red numbers on the clock are very clear with extra bright quality, though for times when a lesser brightness is required such as at night you can use the dimmer slider to reduce the brightness to your own personal comfort level, perfect and unintrusive. Button for backlight: press the light button, time will be clearly visible at night. 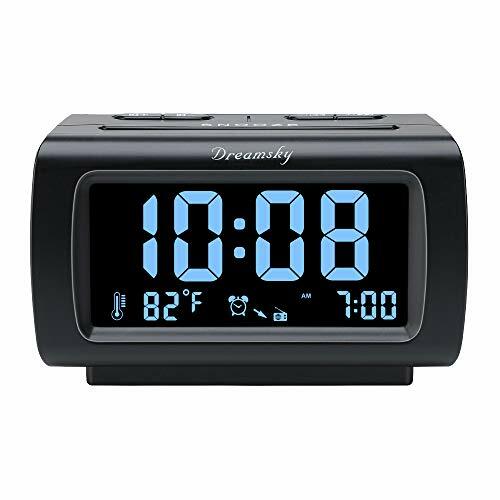 The Travelwey digital alarm clock is small and light-weight making it the perfect accessory for travelling. 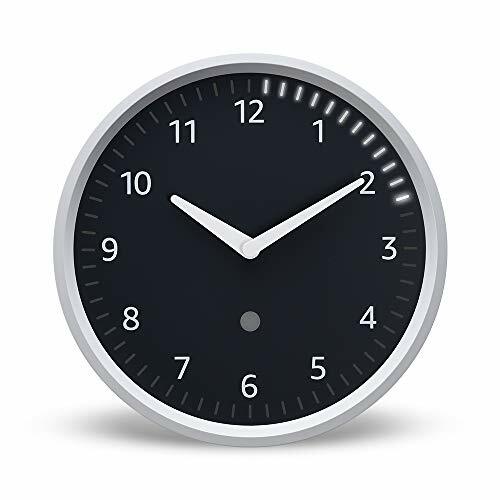 The clock is very simple to use with minimal controls. 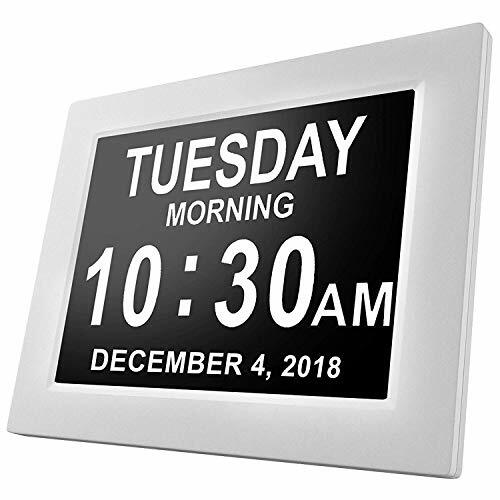 The main screen shows the time, date and day of the week as well as an alarm set indicator. An on-demand light will illuminate the screen when you need to know the time at night. Unlike most digital travel clocks, you do not need to remove the batteries when travelling to avoid the buttons being pushed whilst in your luggage; Travelwey have included a Travel Mode switch which will disable all the buttons, so you only need to set the clock once. 70 x 80 x 20 millimeters. 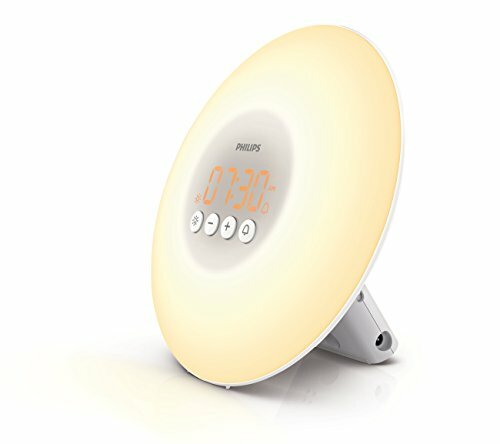 CLEAR DISPLAY WITH LIGHT - The Travelwey clock has a clear display with a convenient on-demand light which can be used to see the time at night. TIME AND DATE - The clock not only shows the time but also the date and day of the week. ALARM AND SNOOZE - An ascending alarm and snooze facility will sure to get you out of bed on time. TRAVEL SAFE - The clock comprises a travel mode which disables all the buttons for use when travelling. DIMENSIONS - 70 x 80 x 20 millimeters. 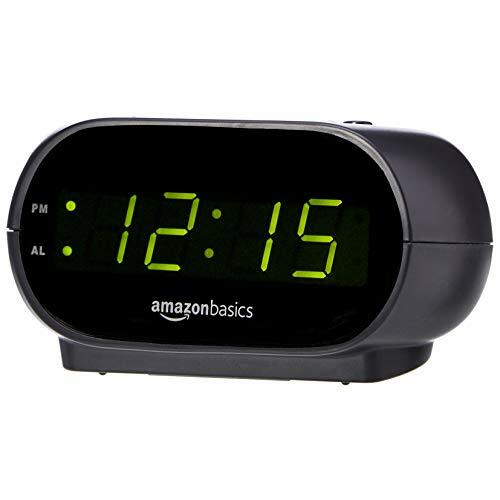 Just say, Alexa, set a 12-minute timer, and see it count down at a glance on Echo Wall Clock. Simple to set up and use-just say, Alexa, set up my Echo Wall Clock. Smooth 10 diameter white bezel clock. Includes mounting hardware and 4 AA batteries. Never over-sleep again! Clocky is the alarm clock on wheels that runs away beeping! You can snooze one time, but if you don't get up, Clocky will jump off of your nightstand up to 3 feet high, and run around your room as if looking for a place to hide. You'll have to get out of bed to silence Clocky's alarm. Clocky beeps in an R2D2-like robotic pattern so that you are sure to hear him. He's kind of like a pet, only he will get you up at the right time! You can set Clocky to run away right when the alarm sounds, or set to snooze one time before he runs away. 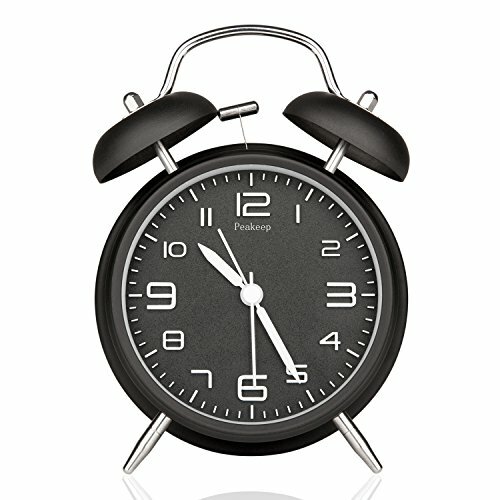 Clocky features a customizable snooze time up to 9 minutes long. You can also turn off Clockies wheels if you don't want Clocky to run away one morning. A backlight helps you see Clocky at night. Clocky is perfect for those of us who have trouble waking up in the morning! He is compact, clever, and playful. He will never cease to amuse you as you wake up in the morning. This is an authentic Clocky alarm clock by the original designers of the product, Nanda Home Inc.
CLOCKY REALLY DOES RUN AWAY: Clocky is the fun and crazy alarm clock on wheels. He jumps from a 3-foot high nightstand, and then off he run in different directions every day, bumping into objects, changing direction again, and beeping until you wake up, get out of bed and turn him off. Works on carpet or wood! CUSTOMIZE YOUR SNOOZE TIME: You can set your own snooze time and control how long your snooze lasts. The next time you hit snooze, Clocky will roll into action. Don't want to snooze at all? You can disable the snooze completely and when your alarm goes off, Clocky will waste no time leaping into action forcing you to get up and out of bed. 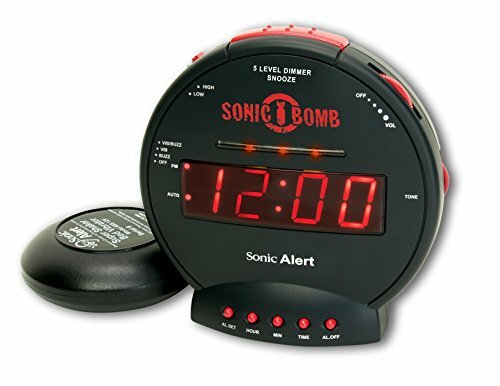 LOUD ALARM CLOCK FOR HEAVY SLEEPERS: When we say loud, we mean loud. 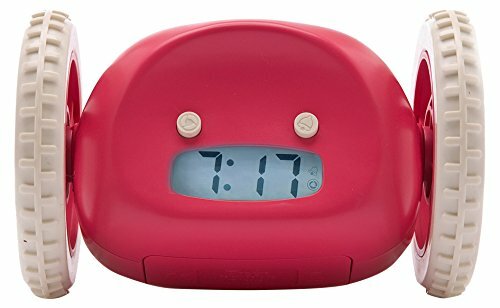 Clocky's fun and unique alarm is extra loud. The beeping R2D2-like robotic sound is hard to miss and impossible to sleep through. Our customers tell us that Clocky can wake even the heaviest of sleepers. ABUSE THE SNOOZE OR KNOW SOMEONE WHO DOES? Clocky is for everyone and anyone who needs to wake up in the morning! Clocky wakes people up around the world, sit from young kids to college students to working professionals. Clocky is perfect for anyone who has trouble waking up in the morning or just needs a little (or a lot) of help getting out of bed. AS SEEN ON TV, MAGAZINES AND GIFT GUIDES: Did you catch Clocky Creator on Shark Tank? You may have also seen Clocky in Marie Claire, Inc., Today Show, Good Morning America, New York Times, Esquire, Lucky, Dwell, Everyday with Rachael Ray, Parents, Self, Good Housekeeping, Women's Health, Parenting and Better Homes Garden to name just a few. 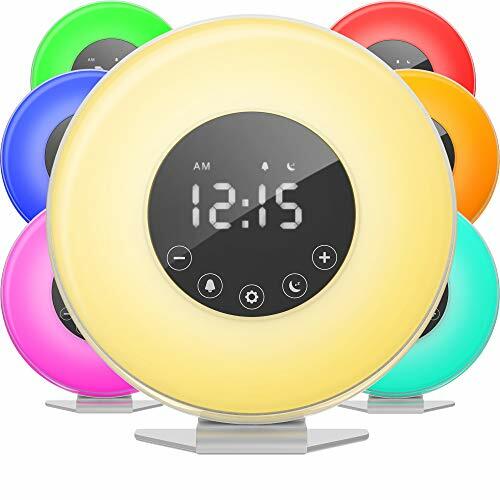 Brand: Nanda Home | Manufacturer: Nanda Home Inc.
LightBiz Projection Alarm Clock create a new enjoyable experience. 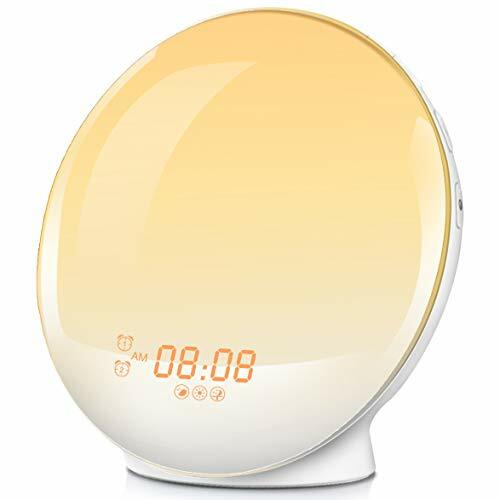 The projection alarm clock can project the time on your ceiling or wall, so it's very convenient for you to get an ultra-clear time when you are lying on bed at night. Change 3 brightness of the screen display - Manually or Automatically. 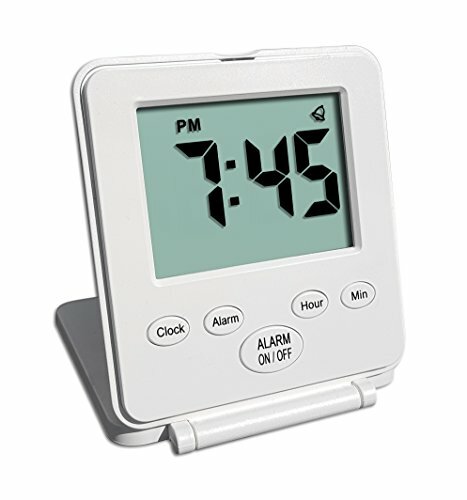 Automatically: long-press "SNOOZE/DIMMER" button, the screen will show "AU". It enters Auto Mode. If you wanna turn off the auto mode.Just long-press "SNOOZE/DIMMER" button again, the screen will show "OFF". 1. Please READ the user manual carefully before using this product and keep the user manual for future reference. 2. Please uncoil 33 inch antenna to its full length. You can also tape the end of the antenna onto the wall to improve the signal reception. 3. Backup battery(Included) just maintains the clock time, alarm settings and preset stations during power outage. The LED time will not be displayed and the alarm will not sound if the power goes out. 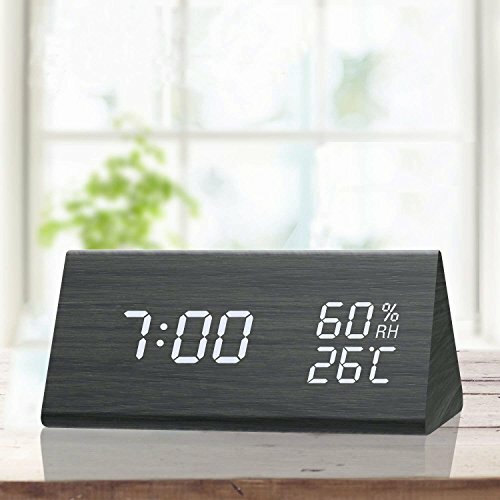 UPGRADED PROJECTION ALRM CLOCK -- Designed with 120 (from -30 to 90 ) adjustable projector, you can easily read the time while lying in the bed. 3 projection brightness (OFF-Dim-Bright) can be adjusted, and the optimum projection distance is 7-10ft. Long press the "Project" button to flip projection view upside down 180 . 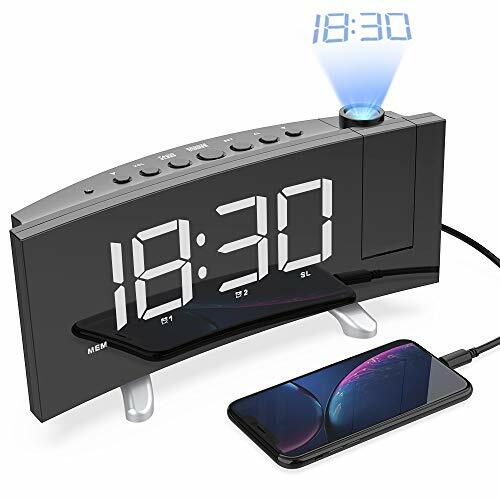 7 INCH DIMMABLE SCREEN DISPLAY -- 7 inch screen display projection clocks with 4 adjustable screen display brightness enables to meet your preference, protect your eyes and does not interfere with your sleep. 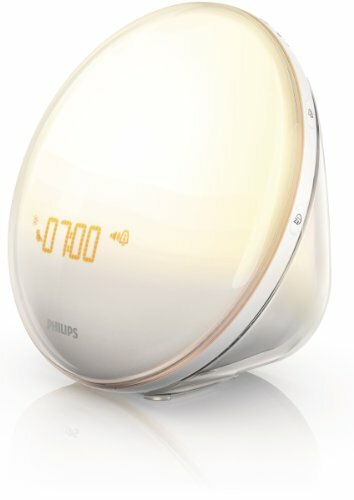 DUAL ALARM WITH SNOOZE -- bedside alarm clock comes with dual alarm can be set two different time at the same day. Designed with 2 alarm sounds (wake-to-radio, wake-to-buzzer) Snooze feature allows 9 extra minutes of sleep before alerting you again. NOTES: Long press Menu button to shut off alarm permanently. 3 Adjustable volume with the function of getting incrementally louder for you to choose. 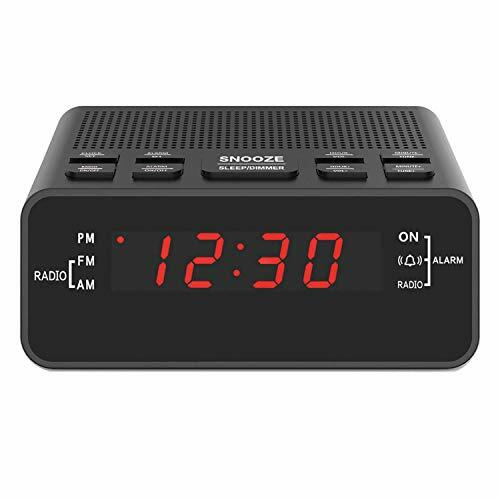 FM RADIO CLOCK -- can remember up to 15 FM preset stations ( FM: 87.5-108.0MHz ). 33-inch antenna is attached for better signal reception. 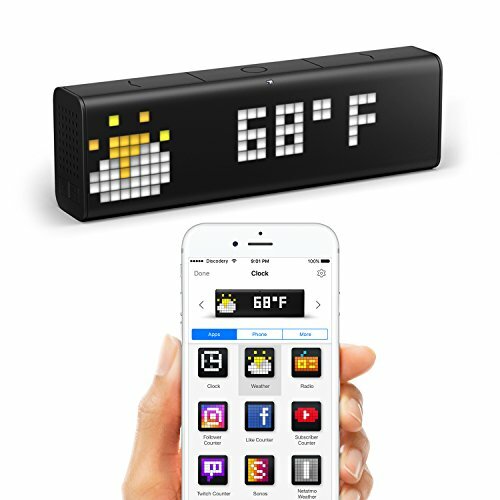 The sleep timer function allows you to fall asleep to the radio within 90 minutes. Radio will automatically turn off after the specified time. PACKAGE & WARRANTY -- With 5V/1A USB output interface, you can charge iPhone or Android smartphones easily. Package: 1*Projection Clock, 1*Charging Cord( Not include plug ),1*User Manual. We provide offer a 45-day refund and 18-month warranty, please feel free to email us for any issue.